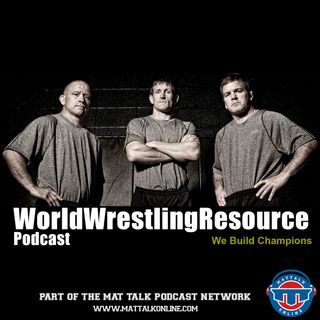 On Episode 2 of the World Wrestling Resource Podcast, host Jason Bryant talks with Dennis Hall and Terry Brands about the recently completed United World Wrestling Championships in Tashkent, Uzbekistan. Coach Hall tackles Greco-Roman and talks about the fight from Andy Bisek, who ended a five-year drought for the U.S. with a bronze medal finish at 75kg. Coach Brands was part of the coaching staff in Tashkent and he speaks at length on the performances of Tony Ramos and Brent Metcalf, but also ... See More gives his impressions of the other freestylers. Coach Jon McGovern takes the final segment talking about preparing for the upcoming season and dealing with limited practice time and what coaches can do to make sure they're still on top of things even though practice hasn't officially started.